When you download drivers, you need to know what version of Windows you have. This is necessary to locate the right driver. You probably know if your PC is running Windows 10, 7, or 8, but you may not know the specific version of the operating system, like Windows 7 32-bit or 64-bit. There are many ways to get to know the operating system version. Here you will learn an easy way, which applies to Windows 10, 7, 8, 8.1, XP & Vista. Just press the Windows logo + Pause/Break keys at the same time. Then the System Properties dialog box will open, where you can get the operating system version. Note: Some newer keyboards may have separate keys for the pause function and the break function. If you are using such kind of keyboard, use the Windows Logo + Pause keyboard shortcut to open the System Properties dialog box. The system information for different operating system may be displayed in a different way. See follows. Windows 10 64-bit operating system is displayed as follows. 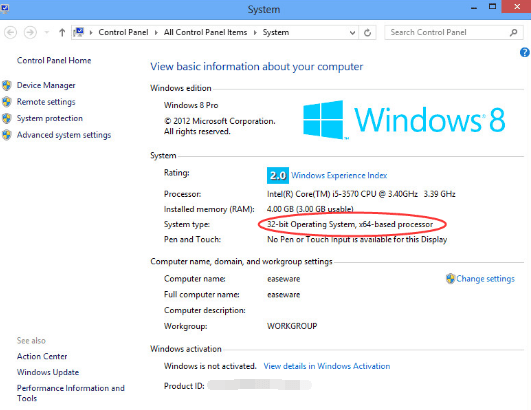 Windows 10 32-bit operating system is displayed 32-bit “Operating System, x32-based processor”. Windows 7 64-bit operating system is displayed as follows. 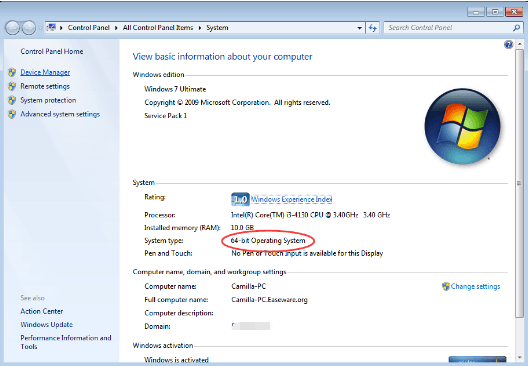 Windows 7 32-bit operating system is displayed “32-bit Operating System”. 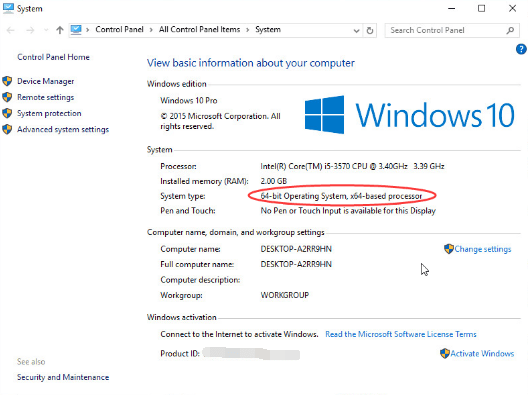 Windows 8 64-bit operating system is displayed as follows. 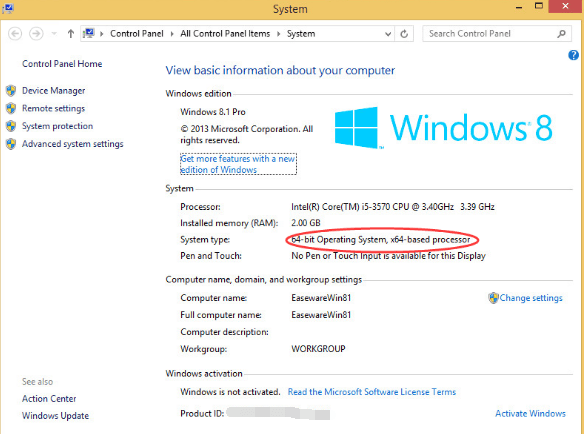 Windows 8 32-bit operating system is displayed “32-bit Operating System, x32-based processor”. Windows XP 32-bit operating system is displayed as follows. 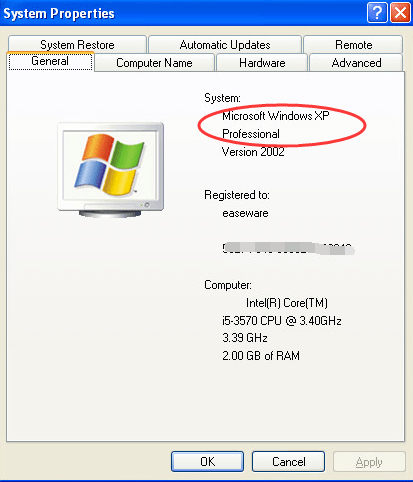 Windows XP 64-bit operating system is displayed “Miscrosoft Windows XP Professional x64 Edition”. If you need to update drivers, you can consider using Driver Easy to help you. 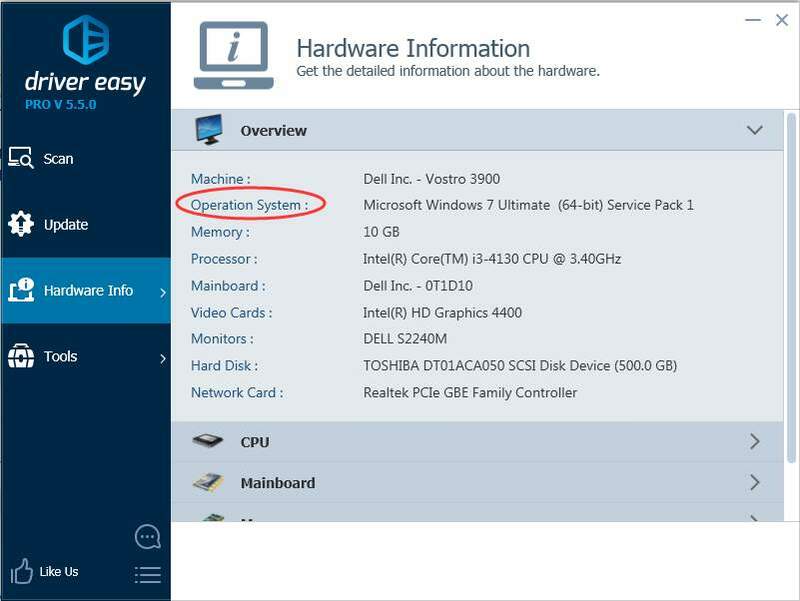 Driver Easy can show you the information of important hardware including the operating system version.